Not just to be good. And not to be religious. To be the ‘you’ God intended. To have the impact for which Christ has given you life. You’re destined. Which is to say, there’s a destination for you. A unique, God-honoring difference that you’re the ideal person to provide for the world. You get to pursue it—with your whole being—not knowing exactly where it is. As you give yourself in the pursuit of it, God makes that destiny more clear and certain. And, all along the way, God is working to refine your character. See, life conspires with your ‘little will’ to determine you, to define you, to limit you, to shackle you to a meaningless life. It’s a life driven by the capricious desires of the ‘little will’. I want to vacation in Spain. I want botox for my face. I want to make partner. I want those amazing shoes. I want to see her pay. I want to get rid of the boat! As you’re satisfying these whims, another half dozen arise, and you’re off in pursuit of them. What you’ll notice about the meaningless life is that you are its focus. All the while, those around you are hurting. Suffering. Isolated. Heartbroken. Lost. At the dawn of 1865 more than four million Americans were held captive by slavery. 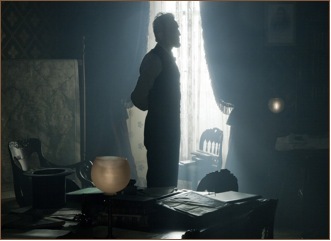 If the movie Lincoln is an accurate portrayal, the President—probably hundreds of times—sacrificed his ‘little will’ to achieve that for which he was destined. His ‘little will’ no doubt longed to be free of the struggle to amend the Constitution, to mourn the death of his son, to bring relief to his disconsolate wife, and to end the awful bloodshed for which he was blamed. When his cause faced its most strident opposition, when resisted by those in his own cabinet, when his allies waivered in their commitment, and when his body shuddered under the strain, Lincoln’s ‘little will’ would have cried out for relief. Trusting God to provide what Lincoln could not, he and his resolve moved in pursuit of that destiny with his whole being. You and I get to do this, too.